Other tiny house villages for the homeless are springing up across the US, and are in various stage of development. Community First! in Austin Texas is already under construction and hopes to open in April, reaching full occupancy in two years. Foundations for Tomorrow’s project in Huntsville, Ala. is negotiating with the city for zoning, and raising funds to buy land. Tiny Houses Greensboro in North Carolina has built a prototype, and is looking for ways to acquire land. And the same people behind Opportunity Village are creating a second site called Emerald Village, which is still fundraising. Across the border in Canada, there’s the village proposed by the Abbotsford Dignatarian Society (ADS), inspired by Dignity Village. The ADS wants to build forty tiny houses made from recyclable materials on a nine-acre lot 1.2 miles—or a 20 minute bus-ride—from downtown Abbotsford. The property belongs to two of the organization’s members. If the village is successful, Gruban hopes they’ll be able to introduce a phase II and invite tiny homeowners to join the community. 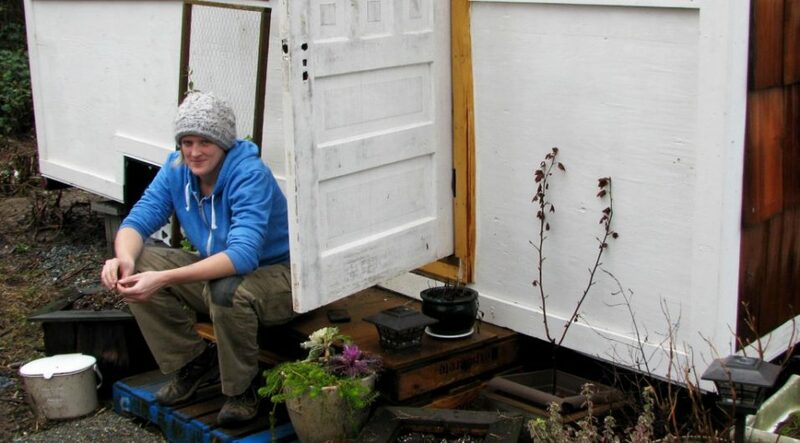 They could even teach people—including those ready to transition out of the supported housing—to build their own tiny homes.